Customer Testimonials for Persichetti Motorsports Inc.
Because we keep our cars for several years, buying a new car is not something we do very often and I don’t necessarily look forward to doing it. 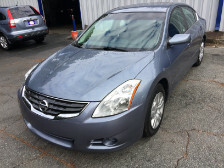 But John and his team made the process very easy – I simply provided a profile of what we wanted and within a few days he found us the perfect car at a great price. Plus, his team inspects it thoroughly. All in all a very easy process with no worries. Never in my years of being a car owner can I say I enjoyed the buying process until now. Persichetti Motorsports and Eric Rich were the difference. No back and forth, no pressure, absolutely none of the typical "car salesman" experience. From beginning to end, Rich and Eileen made it too easy to believe. The quality of the people who represent your company, as well as the quality of your cars, has made the purchase of my Lexus an even sweeter deal. Thank you and know you will be recommended to everyone I know looking for a luxury vehicle. Highly recommend Persichetti Motorsports!! 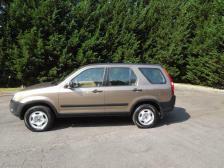 This is the 3rd vehicle we have purchased from John and his staff. We will never use another dealership. Completely satisfied with all of our purchases, very friendly, professional and excellent customer service in dealing with Eric and Eileen. We let John know what we wanted and he found the perfect car. Above and beyond what we expected!! 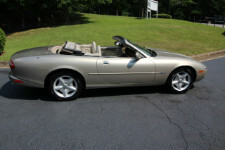 Love my Jag convertible!!! Eric was awesome and never pressured me to " hurry and buy". My next toy?? I'll check with Persichetti Motors first. Outstanding dealership to work with and exceeded my expectations at every level of the process! Thank you Persischetti! This is our second time to work with Persichetti Motors and we will never purchase a car any other way again . We told them what we were looking for, and our budget. They listened and found us just what we needed. Eric and the rest of the team were very nice to work with. It was a great car buying experience all the way around! Best dealership in the area! This is not your typical dealership. It is a small operation that only sells select vehicles from luxury dealerships. Staff has a long tenure together and is run like a family. Eileen is very pleasant as the finance manager with a cute English accent and the sales representative was great to deal with. This is where I will buy my cars from now on and recommend to all my friends! 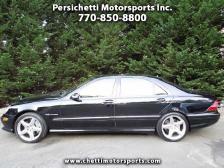 Just wanted to thank the team at Persichetti Motorsports for the great experience I had purchasing the Mercedes for my wife. I spent hours researching the net before I found the right vehicle. The buying experience was as smooth as any I have ever had, and Eric \and Eileen were the most relaxed and helpful sales and financing people I have ever dealt with. Thanks for making my trip to Atlanta so rewarding! 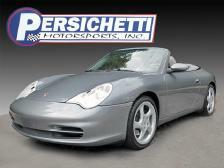 I just purchased my third vehicle from Persichetti Motorsports over the past 10+ years. The reason why I am a repeat customer is the exceptional customer service I enjoy each time. John is honest and straight forward. His integrity is top notch. I gave John parameters in what I was looking for and he found a great fit within hours that far exceeded my expectations. If you are looking for a different kind of car purchasing experience that is without hassles, call John Persichetti. Great service!!! Wonderful car buying experience! No hassle no games that the big dealers play. Process was smooth and easy.. I was in and out within a hour to an hour and half. Great experience...made my purchase simple with no surprises. And, perhaps the cleanest 10 year old car I have ever seen!! Love my new auto. 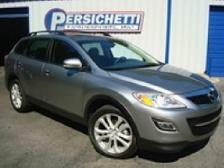 Buying a car from the Persichetti dealership was a great experience. 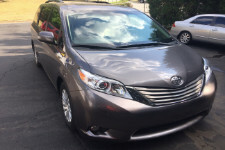 With a busy family and not much knowledge of the pricing of cars and comparing features, they saved us a ton of time and hassle and got us a great vehicle which we are very happy with. Excellent experience......Sales professional was easy to deal with and all expectations were met. I was skeptical when my car search brought up Persichetti Motorsports, but my research on these folks found very positive reviews. The location was easy to find and I'm very pleased to say, the car was as promised - great condition and accessories in tact as advertised. My skepticism is from large dealerships that over promise and under deliver. Not here. At every turn the staff were gracious, knowledgeable and efficient. Unfortunately my bank came up short on the financing, but Persichetti were able to get me a much better rate with one of their banks. This is a small outfit but you will not be disappointed and I am telling my friends to start their search here. Many, many thanks to Eric & Eileen for a truly wonderful experience. 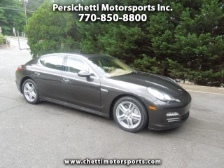 I recently purchased a vehicle at Persichetti Motorsports and had the best car buying experience and the vehicle was pristine and drove beautifully. After a difficult morning at work, they immediately put me at ease. 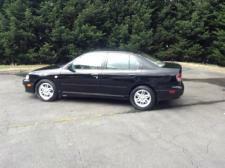 It was the opposite of the stereotypical auto buying experience, as everyone was personable and helpful. Their staff was patient and helped with the necessary paperwork to complete the transaction. I left with my desired new car and if I am ever in need of another vehicle, this will be the first place I look. 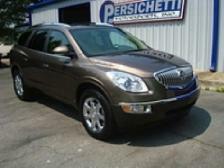 I recently purchased a 2011 Buick Enclave from your dealership and the buying experience was great. I worked with Ricky and he was a pleasure to work with. He was very kind, informative and not too pushy or overly aggressive about selling the car to me. The best highlight was the customer service. During my car purchase my son had been recovering from surgery and I had to stay at home with him. As a result I could not be as mobile as I wanted to be. 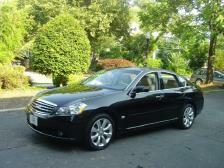 Well after the paperwork was completed and the purchase finalized, Ricky drove the car to my home. He then scheduled an Uber ride to take him back to his office. Talk about wow!! My wife and I really appreciated him going the extra mile to accommodate us. We are enjoying our new car and we will continue to support and buy our future cars from this great dealership. Great job Persichetti!! 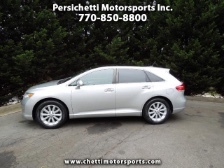 Purchasing from Persichetti was the best car buying experience I've had. Everyone at the dealership was straightforward and there were no annoying follow-up calls. I would definitely recommend that you purchase your next car from Persichetti. 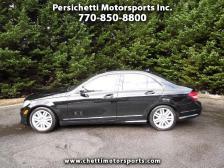 I never thought I would use the word "pleasant" in conjunction with buying a car, but that all changed with Persichetti Motorsports. 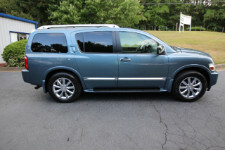 Thanks to Baxter, Eileen and Ricky for a great experience and a great new, used car. We had a great experience at Persichetti , it couldn't have been better or easier ! They had exactly the car we were looking for, when we arrived Ricky had it out front waiting on us. It was in perfect,like new condition even tho' it was a 2010. Eileen helped us to very quickly get a much better interest rate than we already had for our financing..We like it that Persichetti Motorsports is a small dealership, they were all very friendly and professional and we absolutely love our Mercury Mariner. 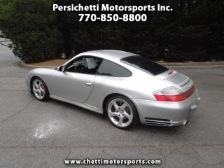 I recently purchased a 2002 911 c4s from Persichetti Motorsports. My experience was very easy going with no "buy now" pressure. I knew what I wanted and did not want to waste my time, nor the dealers. I made 2 phone calls and was in for a test drive in no time and with no hiccups. Eileen was extremely helpful throughout the process and the owner called me before my test drive to address a few questions I had. 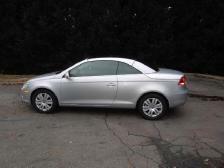 The car has been great since my purchase and I would not hesitate to return. 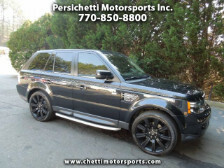 Persichetti Motorsports offered a good price and was great at handling the transaction. I feel like I made the right purchase from the right dealer. Thanks Persichetti! We had a great experience with Persichetti Motorsports. Buying a car has never been so smooth and the car that they found for us exceeded our expectations. 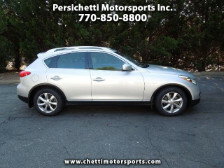 The team at Persichetti Motorsports was kind, helpful and made the car buying process so easy. We will definitely buy our next car from them. In buying a pre-owned car, there's always concern about the quality and condition of the vehicle. However, in working with Persichetti Motorsports, we had no such fears. Working with the staff there was a delight; they couldn't have been more helpful. They readily answered all our questions and made our decision an easy one - without any pressure. 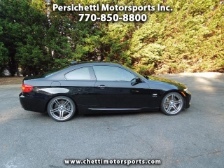 We would not hesitate to purchase another vehicle through Persichetti Motorsports again. Persichetti motorsports helped me find an amazing car in excellent condition. The process was painless and much quicker than I expected. They were able to work with my crazy schedule and were very understanding. These are a great group of people who truly believe in good customer service, I've shared my experience with anyone that will listen! Thank you guys so much for all your help! Both Eileen and Ricky were pleasant to work with and made my purchase quick & easy. I literally walked in, test drove, financed and drove the car off the lot. Altogether it may have been a 1.5 hour process, shortest car buying process ever! Thank you both so much-glad to have met you. 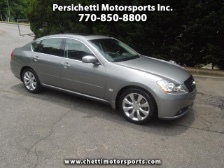 I had a wonderful experience purchasing my car from Persichetti Motor Sports. I live out of state and needed to replace my totaled vehicle quickly. Persichetti had the exact car I was looking for. I flew in from out of town for the morning to pick the car up, and everything was exactly like it was in the pictures. The car is amazing, and they even came in on their day off to help me pick up the car. 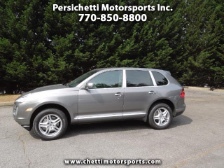 The process was smooth and fast, and I would definitely recommend purchasing a car from Persichetti Motor Sports. It's a great business with people who care. From my initial phone call, my visit to the dealership, my test drive and my purchasing process, the services were great and professional. 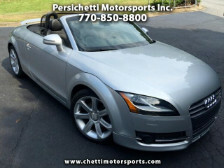 If you are looking for a car you should check out Persichetti Motorsports INC. This was the most convenient way to buy a car. I found them through some friends of mine. 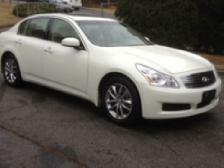 It was a 2 day process I told them what I was looking for and the price range and they found me a car the next day. I was so impressed by the service and Ricky. They were friendly and I did not feel pushed at all, but was super thankful. After looking on my own for a few months and not finding anything that I was willing to buy, they were just what I needed. Thank you for your help. 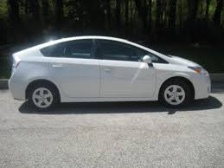 I love my New Prius! My whole experience with Perchetti Motorsports was great! John and Ricky found me the perfect car and I could not be more happy. It was a smooth process from the beginning. Eileen in the office got me a great rate on my loan that was competitive with what the big dealerships would have offered. Perchetti Morotsports really is a complete dealership that offers the same services as the big guys, but without the intense sales tactics. I will always buy my cars through John and his team. My experience with Persichetti Motorsports consistently exceeds my expectations. John and his team listen to my needs and find vehicles that I probably couldn't find on my own. The purchase experience with them is actually pleasant, which is quite different than my prior experiences with other auto dealerships. I chalk that up to John's personal integrity. His character is reflected in his employees, his product and the way he conducts his business. 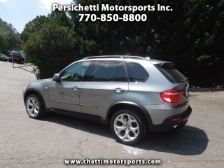 I had a good experience buying my X5 from Persichetti Motorsports. They handled everything like a pro and I'll buy from them again. Two thumbs up!! The team at Persichetti Motors were fantastic. They took the stress out of buying a car and we still felt like we got a fair price. Persichetti Motors have our complete trust. Even when there was a small issue with the car after buying it, John took care of everything. We'll definitely buy our next car from them and encourage all our family and friends to do the same. Even our mechanic and our lender in Nashville have been impressed with Persichetti and they've kept their contact details to refer other clients. Overall, amazing team! We've been so happy! Hope to see you again when we purchase our next car! We wholeheartedly endorse and recommend Persichetti Motorsports to family and friends! The process is clearly communicated and the end result is excellent. We simply gave a few preferences and price range for the car we would like, and it was done! Not our first time to purchase a car from these wonderful folks! 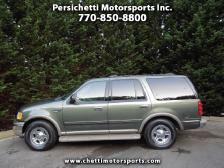 I had been looking for a first generation Ford expedition in good condition, and, after three+ months (and thousands of miles) of looking, I made my way to Persichetti Motorsports in Marietta. Within 1 minute of our arrival I knew this was the perfect truck. We met Bryan and took it for a test drive, but that was really a formality. Literally the cleanest, lowest mileage Expedition I have found. In less than 45 minutes we were done and on our way home. Of all car purchases I've made, hands down this is the best experience. Bryan was attentive and honest and I will continue to buy from Persichetti motorsports going forward. Just wanted you to know how much we love the car and cannot thank you enough for being so easy to work with. So glad that we finally found the one we had been looking for! All of our family can't believe that the car is a 2007... It's perfect. Thank you again and I will definitely keep you in mind with any future purchases. Great service, great salesman. I purchased a convertible Audi TT and it runs great. I love it. 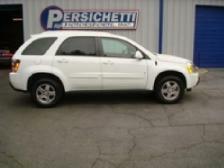 I would recommend my friends and family to purchase a vehicle from Persichetti - they have good reliable vehicles. 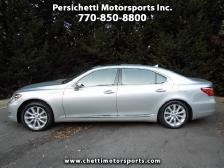 I think this is my fourth car purchase from Persichetti Motorsports, and another great experience. When a problem arose with my AC, which they thought they had cleared, they immediately took care of it. Eric was a pleasure to work with. 5 out of 5 stars - Good experience. They really took care of me in a very friendly and professional manner. Would recommend them highly. 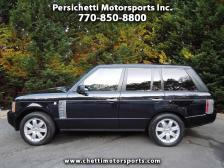 From years ago in my own search for a vehicle, I have known that Perschetti Motorsports only deals in top quality vehicles. It is obvious that by looking through their focused inventory, they carry vehicles that have notable, and purchasing driving attributes. 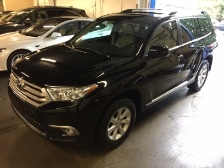 The car that I purchased was true to their philosophy of excellence, it was in great condition, the sales staff was attentive, personable and trustworthy, and the process was done in a very manageable period of time. Not one negative experience about the whole process. One of the things I dread is car shopping. It is usually comprised of hours of stressful searching and then haggling with car dealerships and then getting a deal that isn't as good for you as it is for the dealer. 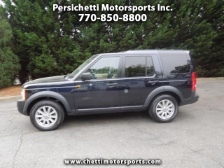 But that was not the case when we bought a vehicle through Persichetti Motor Sports! From the first conversation to the purchase of a van, they respected and listened to us which was so different than what we had experienced at any car dealership! And they put in all the hours of searching and working on getting us a van that had everything we wanted and more! And they stayed within our budget and didn't pressure us and haggle with us over the price! 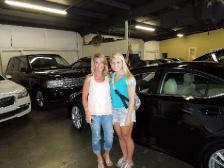 Everyone we met there was friendly and went above and beyond for us, making sure the customer was satisfied! Usually we come back from car dealerships exhausted, disappointed, and having spent more than we wanted to. 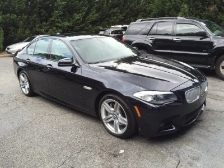 But at Persichetti Motor Sports, we came back excited and with an even nicer vehicle than we had hoped for! Thank you John, Baxter, Eileen, and all the staff there for all you did for us! 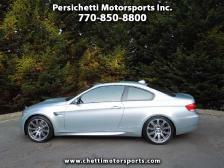 I can't recommend Persichetti Motorsports enough. John has an eye for finding great value in fine automobiles and passing that value on to customers along with excellent service. For my next vehicle purchase, I'll be coming straight back to Persichetti. 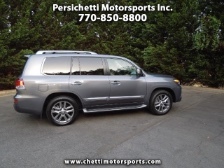 We had a great experience purchasing a vehicle from Persichetti Motorsports. John found us exactly the car we were looking for. and when we came to pick up the vehicle, everything was ready and we got all of the paperwork and documentation completed very quickly. Thank you. Great people. Really helpful and got me the car I always wanted. My experience with Persichetti Motorsports was wonderful. Eileen and Bryan were great and they got me into the car I always wanted. I would recommend them to anyone who's in the market looking to buy a car. 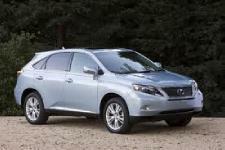 My Lexus was four years old but looked like it had just rolled off the line! Just as good as the photos. Bryan and Eileen couldn't have been more gracious, responsive and easy to work with. Hands down the best car buying experience I've ever had! Bryan was amazing to work with and he listened to all of my wants, needs and financial goals. The most impressive part of my experience was seeing all of the available vehicles out of the weather, stored in a climate controlled building. 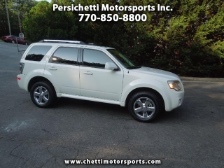 I love my new SUV and am proud that I chose to purchase my vehicle at Persichetti because I 'm in a reliable, low mileage SUV with all the bells and whistles I've dreamed of having and with a payment that doesn't break the bank! If you're looking for an honest group of auto brokers, Persichetti is the place to go. Wonderful experience, extremely friendly & professional. Enjoyed meeting everyone and we like our vehicle. Eileen, thanks for your help. 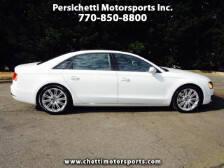 We loved purchasing our car from Persichetti! The people dealt with us with great integrity and went above and beyond throughout the process, even when they didn't know whether or not we were going to purchase the car. Integrity is so rare, especially in car sales, and we are so thankful that we found them. We highly recommend them and would purchase from them again! We had a fantastic experience with Persichetti Motorsports! They found exactly what we wanted at the perfect price point. Their excellent communication and personal touch are so much better than any website or self-guided inventory search. Those options only drowned us in a sea of options and hard-sell tactics. 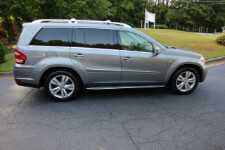 We decided what we wanted and they delivered a vehicle that exceeded our expectations for the price we paid. I cannot recommend anyone higher then this team. Thank you Persichetti Motorsports! 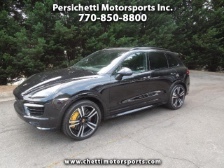 I had a wonderful experience in the purchase of my 2014 Porsche Cayenne Turbo S. The staff were very professional and efficient. John enjoys a stellar reputation in the professional community. Thank you to John and the team at Persichetti Motorsports. 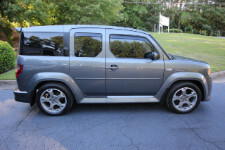 They had exactly the vehicle I was looking for that had thoroughly been gone over prior to showing. John came in to show the LR3 and arranged for his staff to meet me Sunday morning to finalize the paperwork as my road trip kicked off on Sunday afternoon. I felt completely comfortable embarking on a 3000 mile trip based on the road test and information John provided, including service records for the past 50k. i was extremely satisfied with the team's friendliness and service. Next time I'm looking for a car, I'll make sure i drop by. Thank you guys for making my first car buying experience the greatest. Buying my Lexus from y'all was so easy considering I'm located in MD and you are in Atlanta. The communication was unbelievable. The car was so clean and worth every penny. Can't thank Bryan enough. Very professional and fair in negotiations. 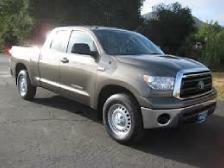 I am in love with my new truck. I need to read up on some things, but love it. Thanks to you all. My experience with Persichetti Motorsports was nothing short of perfect. I can TRULY say that out of the many car buying experiences I've had, this was the best. I live over 100 miles from Atlanta and went to Persichetti on a Friday afternoon and immediately felt welcomed. I had never driven a Land Rover and had no plan to leave with one, but after the test drive, I new it was mine. I give Eric and Eileen 5 stars. They were completely accepting of my not so perfect credit, the fact that I am a lesbian, AND that I asked them to work on a Saturday! A perfect experience from beginning to end. Ricky was great! Start to finish, he made sure he knew exactly what we wanted and what our budget was. He found the perfect car for us and had it ready for us. It was truly the easiest car buying process we have ever had. We will always buy from Persichetti Motorsports going forward! John Persichetti and his team are the absolute best! They made my car buying experience a very pleasant and seamless one, by their professionalism, responsiveness, and sheer kindness. I just recently purchased the Porsche Panamera 4S from them, and, let me tell you - the car was in pristine condition! I am so happy with my car and I have already referred them to a friend. Thank you Persichetti Motorsports! We had never purchased a used vehicle before and had some concerns prior to our first such experience. Little did we realize that we had stumbled into a situation that would leave us delighted. 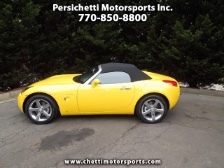 First off, the vehicle we purchased from Persichetti Motorsports was exactly as they advertised: immaculately clean, well prepared to drive away and running perfectly. Secondly, the people at Persichetti were friendly and genuine, competent and thorough. Lastly, the paperwork they provided for the vehicle was accepted by our DMV so that obtaining our registration and title was easy and aggravation free. We have discovered a dealership with integrity and class. We are fortunate, indeed. We had decided the car we wanted - a late model LR4 but there were no vehicles close to where we live. So, we expanded our search online and came across this business. The vehicle looked perfect and the price were in our budget. I was a bit nervous about making a 4 hour drive just to look at a vehicle, but after checking out the business and looking at their reviews we felt much better about making the trip. We met Bryan at our appointed time and found the vehicle EXACTLY as described. 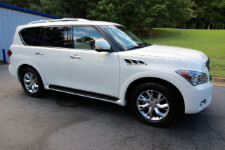 After a test drive my wife was sold but now it was my turn to start haggling with the salesman but there was none - it was all so non-dramatic, simple, laid back and friendly. We called our banker and they could not come close to the interest rate Bryan got for us with one of their companies. Easily the smoothest transaction I have ever done in a lifetime of buying vehicles and, when we are in the market again, we will not hesitate to make the trip again. Thanks to the whole team for a great transaction. 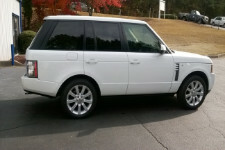 My husband and I were on the hunt for a used Land Rover LR2 in good condition with low miles. We live in West Columbia, SC and were finding very few options that met our criteria/price range in our area. After making 2 different 3 hour drives to see cars that weren't exactly what we were expecting, we were starting to think maybe we'd never find the right car. Enter Persichetti Motorsports. We contacted them early one morning, by the end of the day they had our financing worked out and we had an appointment to see the car the next day. 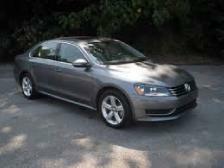 My husband made the drive solo and was very impressed with, not only the car, but the helpfulness of their staff. The rest of the process was a cake walk, even with me not being present during the initial visit. We learned through this process that purchasing a car long distance doesn't have to be uncomfortable or risky. Persichetti has gained new lifelong customers in us because of their quality customer service and of course the amazing car they helped us find. What a great car buying experience! Honestly, best we've had! 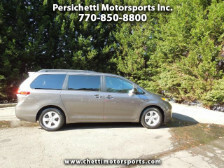 We have purchased many cars - some new, some used - and am pleased to say our experience with Persichetti Motorsports was hands down the most hassle free. No long hours in the dealer, no sketchy switch tactics. You guys were professional, expedient and accommodating!. It will be our pleasure to be repeat customers and send referrals your way too. Absolutely the best buying experience I have had! 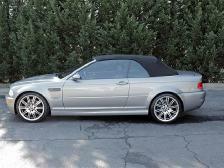 I was in the market for a clean 645CI convertible, inquired via the web and received a call in minutes. Although I was late getting to Atlanta, John ensured I was able to view the vehicle after hours. I was pleased to work with such an outstanding, customer-centric staff and owner. Unbelievable communication; the transaction was as simple as one 5 min phone call, 10 min in the office and I was done. 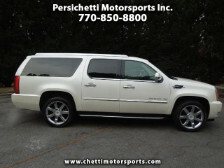 I enthusiastically endorse and recommend Persichetti Motorsports to family and friends! 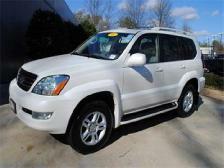 An amazing car at an incredible price...this is my first stop for my next vehicle. 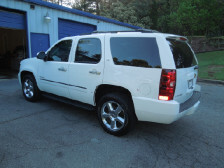 Persichetti Motorsports made it quick and simple to purchase a great car at a very fair price. There are plenty of choices out there, but if you want to deal with professionals who stand behind their cars, Persichetti is the only name you need to know. I would definitely recommend Persichetti Motorsports to friends or family. They were quick to respond when I had initially requested information, they were great with helping me get financed and my sales person Bryan was super friendly and helpful. Being from out of state, I had some skepticism about the car, but when I got there I was blown away in person. It was in near perfect condition and I drove it off the first time seeing it. An overall great car buying experience. Had a great experience working with Persichetti Motorsports Inc. Friendly staff, all my needs and questions were quickly taken care of. I would and will buy from them again. I wanted to thank you and your team on my new Sequoia. I am really enjoying my new car. You and your team made it super easy. Persichetti Motorsports takes the pain out of the car -buying experience. I've used them three times now - for new and used cars - and each experience has been extremely positive. This time they quickly found me a great deal on the exact car I wanted. I couldn't be happier with folks at Persichetti or my new automobile and will definitely enlist them for my next car purchase. 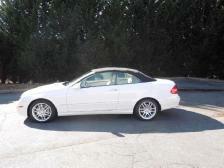 Just wanted to let you know what a great experience it was to purchase our 2008 CLK350. We got a fair deal on a beautiful car. Eileen was amazing to work with and she made the whole process as smooth as can be. We would highly recommend you to any friends and family looking for a great car buying experience. Best vehicle purchasing experience I have ever had!! The vehicle was delivered to my work location for a test drive... all financing and trade paperwork complete prior to me picking up the vehicle. I spent a total of 15 minutes in the dealership signing and then driving. AMAZING CUSTOMER EXPERIENCE. 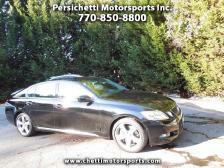 Our car buying experience at Persichetti Motosports was smooth and easy! From the very first contact with the owner we felt there was no pressure to buy and he had a genuine interest in answering all of our questions. 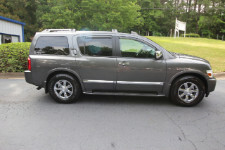 The vehicle was in great condition and at a fair price. We would highly recommend buying at Persichetti. Having visited numerous private and franchised dealers, we were pleasantly surprised when we arrived at Persichetti Motorsports. Upon entering their enclosed warehouse showroom, it was immediately apparent that they actually cared about the quality of their inventory. Take it from a true car enthusiast, this is rare! We worked with Bryan Goff who was knowledgeable, friendly and displayed none of the car salesman stereotypes. 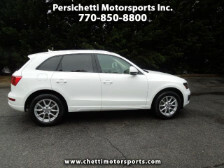 Originally we went to Persichetti to look at a particular car, however, there were so may quality cars in inventory that it made our decision much more difficult. Bryan eagerly allowed us to test drive many different cars over several days. 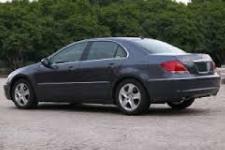 We ultimately decided on a beautiful "Mint Condition" Acura RL and are very happy with our purchase. 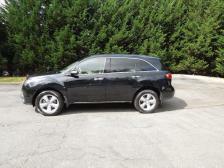 If you are looking for a nice, pre-owned vehicle this is a great place to visit. You will be impressed by the quality inventory and courteous staff!. Our experience with Persichetti Motor Sports was a great one. Eileen was very helpful. We drove from Ringgold Georgia to look at a vehicle and arrived hungry. She gladly took our information and directed us to a nearby place where we could eat while she ran our information. 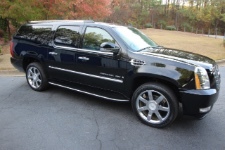 They made the process very fast and painless and we were surprised we had purchased our vehicle this quickly! 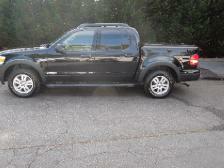 I purchased a 2008 Ford Explorer Sport Trac that I saw online. I emailed john and he was very quick to get back to me and schedule a test drive. It was a Saturday and he took time out to meet me for the test drive, John was a real pleasure to work with. He listened to me and really took into consideration what I was needing and telling him. There was absolutely no high pressure sales jargon going on like I had experienced throughout my search for a quality used car. Eileen and I spoke and she set up everything for me to pick up my truck. When I got there it took less than 30 minutes for all of the paperwork to be done and I was out the door. You can tell John and his team really only sell cars that are of the highest quality. Even though I was probably buying the least expensive car in his inventory, he made me feel like I was an important customer and treated me with respect. So thank you John and Eileen for the best car buying experience I've ever had. 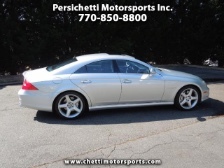 I will recommend Persichetti Motorsports to everyone I know and hopefully will be back when I am ready to upgrade to one of the awesome luxury cars John has in stock. I am one happy customer!!! 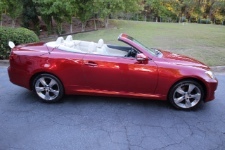 For years I contemplated buying a convertible, and finally, when ready to buy, I was so lucky to have found a convertible with a sunroof and at an unbelievable price! 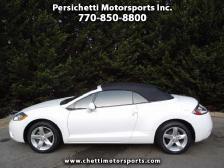 I purchased a used 2007 VW Eos at Persichetti Motorsports!!! The price was right, the car was in mint condition (exactly how it was pictured) and their service was impeccable, efficient and professional. I needed my side mirror control replaced and they ordered the part and fixed it the very next day. 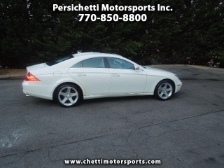 I am so happy and would recommend Persichetti Motorsports to anyone looking for luxurious affordable used cars! Our experience with Persichetti Motorsports was delightful! We are very pleased with the new CRV. The interest/monthly payment they got for us is remarkably low in this time of economic upheavals. Eileen and John made our purchase effortless and we would definitely recommend them to our friends. We love Persichetti Motorsports!!! When we purchase a vehicle we keep it for many years, so having a dealership that is trustworthy, honest and very professional is important. My husband purchased a car from John over 5 years ago (he still drives it) so when I needed a reliable vehicle for me and my kids, we know there was only one place to go. One more fun fact: As we shared with our friends about a need for a new car, in less than one week, three of our friends said the same thing to us..."Before you go anywhere else, you have to see my car guy...You have to call John Persichetti" And all three friends shared personal stories of how they will only buy a car from Persichetti. The most powerful fun fact is that these personal referrals were from folks who did not know each other... However, they definitely know John Persichetti and care for us . Thanks John. John Persichetti responded immediately to my email about the BMW. He and Eileen were very quick to answer all my questions and arrange a time for me to come see the car. Eileen and her husband were willing to meet me and my husband there on a Saturday and give us a complete tour of the car. I have never purchased a car from a more courteous, knowledgeable dealership. There was no pressure to buy. They wanted to be sure that we found exactly what we were looking for. 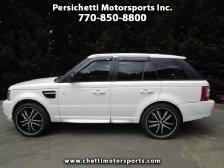 I highly recommend Persichetti Motorsports to anyone in the market for a new vehicle. 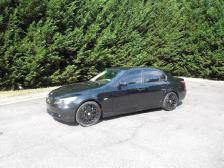 I love my BMW!!!!! 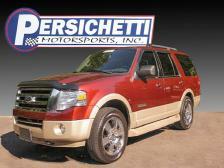 I just purchased a 2007 Eddie Bauer Ford Expedition from Persichetti Motorsports. I was absolutely pleased with the customer service and the quality of the vehicle. John and Eileen made the process very easy and John even came in on a rainy 4th of July holiday, first thing in the morning, with his son just to show me the SUV. I would recommend them to anyone looking for a great car at an even better price. 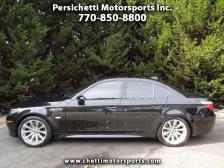 The next time I am in the market for another vehicle I plan to see what Persichetti Motorsports has to offer. What a great experience purchasing a car! 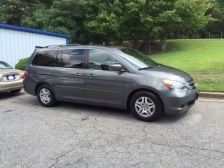 Looking for a reliable car to put my daughter in for school. Fair price, great buying experience. Eileen was super, handling all my questions, setting up times to see the car, allowing and helping to coordinate an onsite inspection. Casual and yet professional atmosphere. made sure I was satisfied and really helped make the first car buying experience great for my daughter. We were very, very pleased with the car and with the experience. Bet there will be another purchase in our future. Thanks so much for your care and attention! My experience with Persichetti Motorsports could not have been better. One call to John and within a few days he had exactly what I had spent several weeks looking for with no success. He had the right car and at the right price. He was honest and straight forward to deal with. Eileen handled all the details to complete the transaction and she was equally delightful to work with. I would highly recommend Persichetti to anyone looking for a quality used car at a fair price with a hassle free buying experience. I will no doubt be a repeat customer. Many thanks to John and Eileen for making our purchase so simple and quick. It was a very pleasant experience and we will be doing business again, I'm sure. 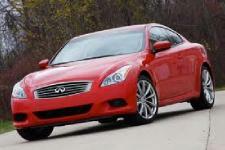 The G37 was exactly as discribed and we are quite happy with it. Thanks again! The entire Persichetti team is simply truly outstanding. This was our first car purchase through a dealer and I came in fairly skeptical. An automobile can always look good on paper, but when I saw it in person I was impressed. Their showroom and attention to details are first class. The level of service and their reponsiveness is unique and I would definitely highly recommend them. I know who I will be calling for my next car purchase. Thank you John, Eileen and Baxter for a great experience. I just wanted to share my opinion regarding my recent experience with Persichetti Motorsports. I feel that communication is key with a business, and communication was wonderful, with phone calls and emails all returned promptly. I am very happy with your business, I'm enjoying my car and I'm glad I bought it from a local entrepreneur versus a huge company with no charm. Thanks again for the warm, charming, personal and easy going experience from your company. We are so happy to have worked with Persichetti Motorsports as we recently purchased a car. The service, smiles and always going the extra mile in considering our requests has communicated excellence in every aspect! Thank you to all who served us. Thankyou John, Eileen and staff at Persichetti Motorsports. 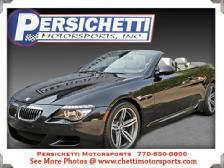 My experience with Persichetti Motorsports, from start to finish, has been very satisfactory. The car was everything you said it would be, your staff was great to work with and I would recommend your company to anyone who asked. My experience with Persichetti Motorsports was a positive one. 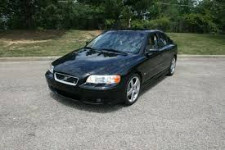 John was very knowledgeable about his inventory of vehicles and I would purchase another car from them. 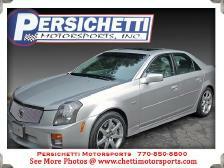 I recently purchased a Cadillac from Persichetti Motorsports and had a chance to see John's operation. I was very pleased with the service and professionalism of his team, and I can tell you that John only deals with the finest cars, in the best shape. 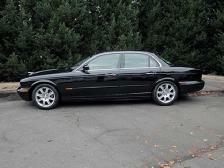 I would recommend John and team to anyone who is looking for a quality car. 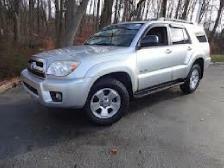 After a very long search for the perfect vehicle, my husband and I responded to an ad for a Toyota 4Runner from Persichetti Motorsports. It seemed like an awesome deal, but we were reluctant to drive 3 hours for what could have been a lemon. We took a chance, and we were so glad that we did! Not only was the truck in excellent condition, the staff went out of their way to accommodate all of our needs. We definitely recommend this very professional company and its staff. 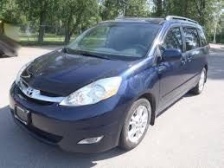 Hi John I bought a car from Bryan today, and it was the easiest car I have bought in 12 years! Thanks for the way you do business. I am a fan. 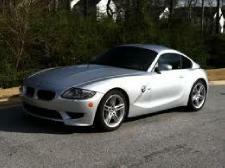 John, I just wanted to thank you for the positive experience I had buying my BMW Z4 M Coupe from Persichetti Motorsports. I appreciated your professionalism and sense of urgency in the things we discussed throughout the negotiation process. In addition, I was very impressed with your facility as opposed to an outside car lot. 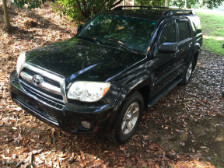 Your skilled detailler, Baxter, has been with you for over 13 years which indicates a lot about your general loyalty towards people.This is the first time I did not have to detail a used car when I got it home! Thanks again for the smooth transaction. 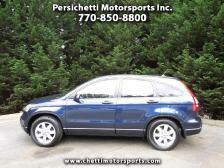 I just purchased my third vehicle from Persichetti Motorsports! 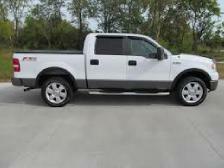 It was a white Ford F150 with low miles. I needed a truck for my company, and John found one in the local area that fit my specifications perfectly. Baxter's detail of the truck made it look brand new and Eileen had me out of the office in 30 minutes. Thanks guys! I cannot say enough great things about Persichetti Motorsports. Everyone knows that when you go to a big company name dealership you are going to have to fight for that deal. With Persichetti Motorsports, it's not like that. They found the truck I was looking for right away and there was ZERO hassle. Everyone was super friendly and knew what they were doing. Keep up the great work guys! Not only does John have the ability to find a car that you will fall in love with, but he will find you one that fits your personality perfectly! You may ask him for one car, but when he shows you another, it ends up being better than what you originally wanted. 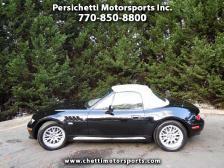 This is my second car from Persichetti Motorsports and I will continue to buy my cars from Chetti for years to come. Thanks again to John and his team for providing excellent service!! 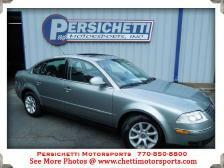 I recently purchased a 2004 Passat from Persichetti Motorsports.I have never had an easy experience buying a car, but the staff at Persichetti Motorsports made the transaction easy.The vehicles that they have are in excellent condition and I will definitely go back to them the next time that I need to purchase a vehicle. Thanks for the great service! We first met John persichetti 10 years ago when we were looking to buy a minivan for our growing family. 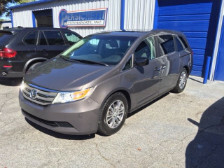 We were so impressed with John's level of service and commitment to finding the van we were looking for at the time. Fast forward 10 years and we decided we wanted to buy another vehicle. We knew we wanted to do business with Persichetti's again as we remembered his integrity and the great experience we had. They made the process so easy, and we knew we could trust their integrity to find us the right car, at a fair price, that was reliable. We love the car we purchased and the experience we had. 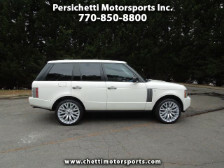 We would highly recommend Persichetti Motorsports to anyone who asks. They make car buying an enjoyable experience! 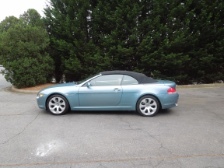 Just wanted to extend a big thank you again to both of you for the excellent service I received from you buying my 2009 BMW M6 Convertible. Being from Seattle, WA, buying a car from out of state is always a risk as often we don't know whom we are dealing with. There are a few bad people out there that like to take advantage of someone and their hard earned money. I immediately felt a sense of honesty, integrity, sincerity and I could immediately tell they are operating with the highest professional conduct. I will certainly highly recommend you to all my friends, colleagues and family and I hope to do business with you again in the future. I can not recommend Tim and John with Persichetti enough. I have been absolutely thrilled with my experiences with them. I have made two purchases so far. 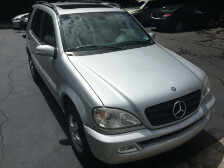 I first met John when I purchased my beautiful immaculate Mercedes convertible . 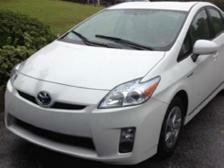 I had it for five years and adored it until I needed a Mommy car for my two young sons. I contacted John again and he put me in touch with Tim and he was equally fabulous. They found me my beautiful ideal Mommy car, within budget, even less actually, loaded with all that I needed and then some and in immaculate condition once again. 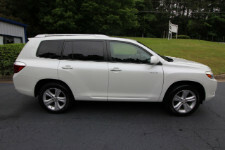 They went above and beyond to please and I am thrilled with my new Lexus SUV. They are honest, hard working , extremely fair and professional. They are a true gem and an excellent find. You won’t be disappointed. 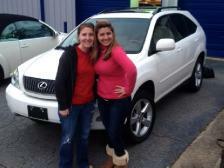 "I never had to chance to thank you for your help with my first car buying experience. You truly made the process a memorable experience. Thank you for staying late and satisfying all my needs and concerns! When it is time for me or anyone else I know, to buy their next car, Persichetti Motorsports will get all my referrals. Hope ya'll are doing well!" "I contacted Persichetti Motorsports at the recommendation of my companies President. 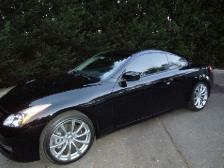 I was not in a huge hurry, but a couple of days passed and Tim called about a '08 Infiniti G35 Black on Black. The first words out of my mouth were: Where is the Acura, you know I don't want black and definitely not black interior. I honestly went as a courtesy (till he could find an Acura). I drove up and fell in love as soon as I saw how beautiful and flawless she was, not to mention 305 hp, sports wheels and tinted windows . The price was right, financing was quick and very competitive, but most of all the sales process was professional and they even delivered it to me the VERY next day. 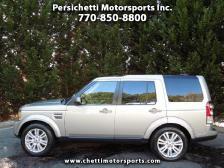 I will never purchase or recommend anyone but Perischetti Motorsports." "I just bought my second vehicle from John and Tim at Persichetti Motorsports, and there are many reasons why I went back. This is the friendliest, most professional car dealership in Atlanta, with zero pressure to buy. Before the purchase, I called John and provided him with a short list of sedans that I was interested in for my son, including car history, options and colors (very hard to find). 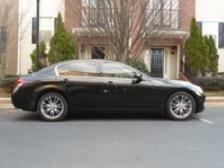 In short order, John had two 2008 G35's that looked practically brand new after Baxter detailed them. The entire purchasing experience took less than an hour, because I could not find anything wrong with the car. My son was thrilled with the G35 thanks to John, Tim, Baxter and Eileen!" 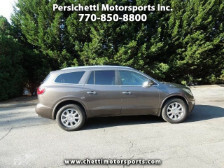 "My wife and I have purchased multiple vehicles over the past several years from Persichetti Motorsports. We have always been treated with the utmost courtesy, fairness and professionalism. It has taken the hassle out of car purchases, and we have always been pleased with our vehicles. We endorse their organization without reservation and will continue to make future purchases through them. Thanks John, Tim and staff!! " 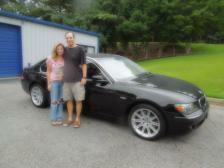 "Tim, thanks to you and Eileen for making our car buying expierence a pleasant one. After interacting with several dealers in town, your low pressure and honest approach was refreshing. The car we were interested in was found to be in the clean condition the pictures on the website suggested and there was no attempt to "bait and switch". I will share our expierence with all our friends. " "All I can say is WOW! You told me that my new Lexus convertible was in showroom condition and you were absolutely right! Thanks to both you and Eileen for making this such a smooth transaction. It was easier to work through you folks than a regular car dealership." "Thank you for delivering once again another fine automobile. 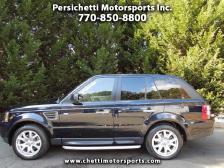 I have found that Persichetti Motorsports is the number one dealer in Atlanta hands down. Not once, but twice now, you guys have exceded my expectations, and I couldnt be happier with my latest purchase. Keep up the good work, and thanks again. " 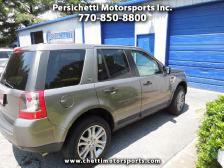 "Persichetti Motorsports made buying my car extremely easy and so helpful!!! I found my Equinox online just before leaving for vacation. Tim drove it to my work to let me check it out, and Eileen kept me updated and worked with me the whole time I was out of town. Not only are they the nicest people you will ever meet, but the whole staff is so helpful and caring, and really make this an excellent experience! Thank you everyone, I love my new car and cannot thank you all enough for all your help! " 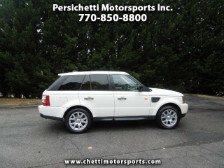 "I recently purchased a 2004 Range Rover from Persichetti Motorsports and I couldn't have asked for a beter car buying experience. 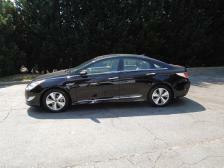 John and his staff were knowledgeable and made me feel more comfortable with my purchase. 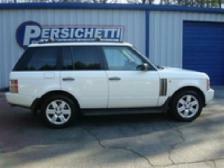 I had been looking for a Range Rover for a while and finally found exactly what I was looking for at Persichetti's. The car is in impeccable condition and drives better than any of the cars I had test driven. 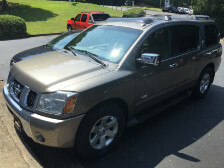 On top of being extremely knowledgeable on the vehicle, John and his staff provided the best customer service that I have received in a long time. I can definitely see myself being a repeat customer. "